The first choice in any tech stack is the operating system. While the LAMP stack locked the operating system to a variant of Linux, the MEAN stack has no such restrictions. Linux is still a good choice for an app built on MEAN, but it is by no means the only option; any operating system that can run Node.js is a viable alternative. The MEAN stack replaces LAMP’s use of MySQL (or another relational database) with MongoDB (or an equivalent non-relational database). For many web apps, this will be the most significant change. Translating the data in an existing SQL database requires a lot of forethought to eliminate redundant/unnecessary object attributes, and will likely require a custom software suite to accomplish. However, once this is done the database will be much faster for data retrieval. MEAN makes use of Express.js and AngularJS to drive web page presentation and control flow, tasks covered by PHP or Python in the LAMP stack. Express.js serves as the controller layer, directing application flow and marshaling data for AngularJS, which handles data presentation. The primary benefits offered by these scripts are a simplified back-end architecture – for example, Express.js weighs in at only 1,143 lines of code – and a purely client-side presentation layer in AngularJS that can be easily embedded into any existing web application. Furthermore, usage of Express.js and AngularJSo n top of Node.js gives your technology stack the added benefit of being entirely in one language, meaning your front-end developers now have the ability to trace all the way down the stack without having to learn another programming language. Probably the biggest choice to be faced when converting from LAMP to MEAN is the choice of data store. While the MEAN stack is designed to work with a non-relational database, there are plug-ins for Node.js that allow the stack to run off of a relational database just as easily. The front end handles everything in JSON, so the only true consideration is how the data is stored before it is retrieved, or the difference between Relational and Non-Relational databases. Relational databases, with their support for highly complex structured queries, lend themselves well to performing complex calculations with data. Non-relational databases excel at managing operational data, such as a list of objects in a system. The lack of a schema allows for fluid object definitions that don’t require extensive code changes, and by removing the need for extensive and complicated queries the system can often operate more efficiently than a similar architecture build over a relational database. Below, we've outlined IoT applications in agriculture and how "Internet of Things farming" will help farmers meet the world's food demands in the coming years. As a concrete example, John Deere (one of the biggest names in farming equipment) has begun connecting its tractors to the Internet and has created a method to display data about farmers' crop yields. Furthermore, the company is pioneering self-driving tractors, which would free up farmers to perform other tasks and further increase efficiency. 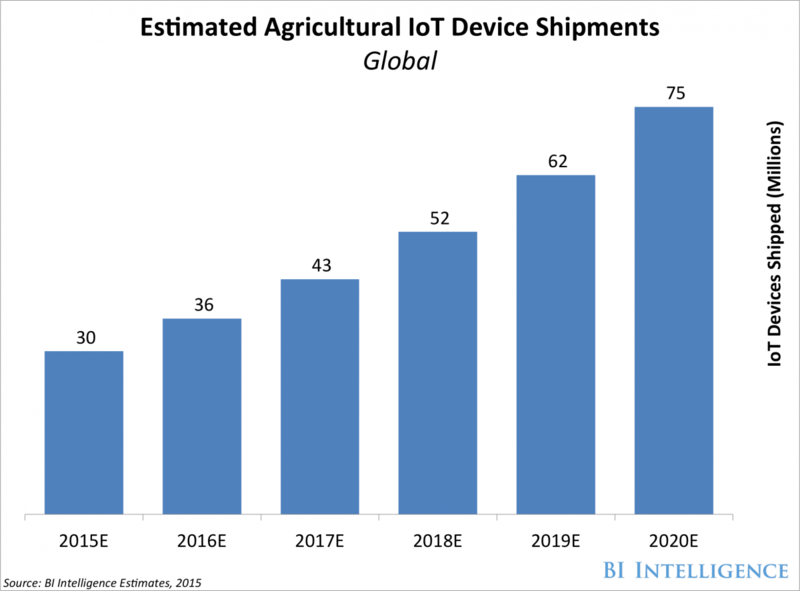 BI Intelligence, Business Insider's premium research service, predicts that IoT device installations in the agriculture world will increase from 30 million in 2015 to 75 million in 2020, for a compound annual growth rate of 20%. Given all of the potential benefits of these IoT applications in agriculture, it's understandable that farmers are increasingly turning to agricultural drones and satellites for the future of farming. The oil and gas industry can be a volatile and unpredictable marketplace. However, this sector plays a fundamental role in global commerce, and if it is not running efficiently, the effects ripple throughout our economy. There's good reason why: Demand and consumption have been growing steadily over the past few decades. Now, the United States is the third largest producer, generating more than 12 percent of the world’s oil. So, how did oil and gas operations manage to eliminate inefficiencies, expedite production and improve processes, all the while driving profitability? Somewhat ironically, these operatons become technology companies. According to Shiva Rajagopalan, CEO of Seven Lakes Technologies, at the end of the day, the COO lives and breathes numbers, and the numbers all need to match. Rajagopalan is an oil and gas industry expert, who developed his enterprise software solution to give oil and gas operators better insights into the data they need to eliminate inefficiencies in their drilling and production operations. In an interview he told me that he believes that companies as large as those in oil and gas, or as small as a five-person startup, can make their data actionable to drive down costs and increase production. Here's how. 1. Be disciplined with big data. 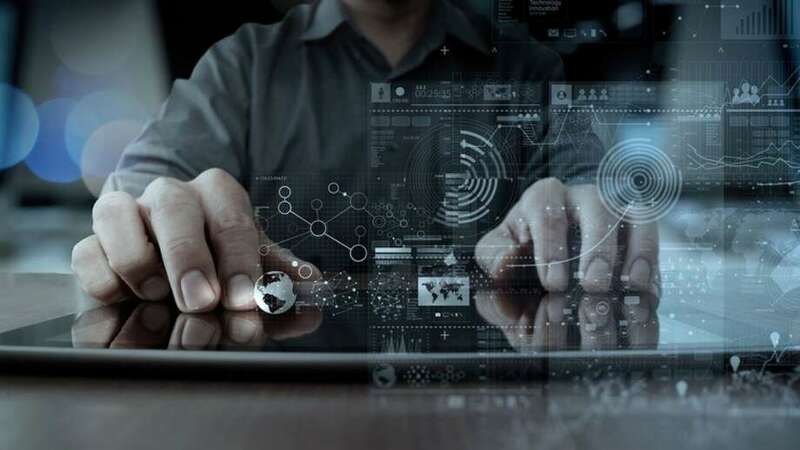 According to a recent survey by The Economist Intelligence Unit, companies that master the emerging discipline of big data management can reap significant rewards and separate themselves from their competitors. Big data is a term that describes the large volume of data -- both structured and unstructured -- that inundates a business on a day-­to-­day basis. And, thanks to constant tech innovations, such as sensing capabilities, the volume of data produced by a drilling operation is enormous. “But it’s not the amount of data that’s important. It’s what organizations do with the data that matters,” Rajagopalan said. For the oil and gas industry, superior data discipline reduces the inaccurate reporting of active well counts and decreases incorrect reserves reported, and penalties assessed due to incorrect updates in the forecasting system. While oil and gas is an enormous case study for how companies can integrate data into their operations, the benefits they receive hold true for all companies. Implementing proper workflow analytics helps to automate processes and streamline manual business operations to make every arm of the company more efficient. “With software, organizations can shrink the time it takes to convert data into value in the hands of its operators, Rajagopalan said. "Software improves the quality of analytics and creates confidence within the organization, so those on the front lines are making informed decisions. "Being disciplined with big data means you get accounting, production and budget systems all communicating effectively." The best way for the corner office executive to be on the same page as those in the field is via access to the same information. However, this requires the organization to trust that the data is flowing smoothly across the organization without multiple sources causing errors or bad reporting. 3. Avoid the garbage-in, garbage-out effect. In order to balance production and expenses, companies with field operations will require a more surgical effort than in previous decades. The unstructured data, which may not have been considered in the past, becomes relevant. Working in industries with field workers, all of this data needs to be tagged, integrated and synced together with the appropriate validation checkpoints so everyone from the COO to the asset manager has the exact same view of operations. Yes, it’s an age-old cliché, especially for entrepreneurs. But clichés are only repeated so much in the first place because they are so relevant. Oil and gas is an important part of the world’s energy balance. It is simply time to rethink and refocus to outwit and outmaneuver the current market forces. “Equip your team to drive significant and lasting value. Disparate source systems, ungoverned information and unreliable data block their view to operational excellence. Give them tools to turn meaningful insights into shared action,” Rajagopalan said. By employing and utilizing intuitive new technology that keeps the company moving in the same direction while enabling actionable insights across the organization, COOs can set aggressive goals and lead their companies to the end zone time after time in a sustainable manner. 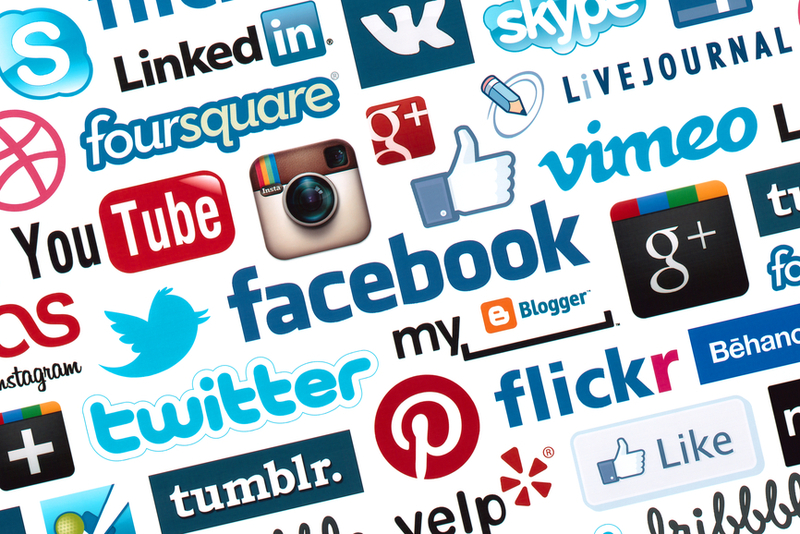 Social Media Networks have evolved rapidly in the past decade or so that they have been in existence and have cumulatively made it easier for everyone to connect and share as the slogan of one of the more popular services says. So the fact of the matter is that they have made it possible for people to connect across both space and time. But the real value of these networks for business are only just beginning to get unlocked thanks to the power of digital marketing and as such this type of marketing has become a must for any enterprise that wants to stay ahead of the curve. The formal definition of Social Media Marketing is that it entails the use of social media platforms and websites in order to promote a product or a service. Thanks to the highly measurable nature of digital media the social media platforms often contain a motley of tools which are useful in offering a wide-ranging set of actionable information that is of immense value to the platform as a whole. Some of these tools include; data analytics, geographical information, progress reports, demographics, success rate and engagement with your specific digital campaign. This whole sub field has created a new marketing professional who is referred to as the digital marketer. Social Media Marketing which is a sub field of Digital Marketing is largely concerned with targeting potential customers on social media networks where they congregate in their droves. The combined total number of people who interact daily on all the major social media networks is estimated at 2 billion people, slightly under 30% of the total world population. Facebook is the largest player in this genre and on its own it registers traffic of 1.2 billion daily active users. · Assemble The Team - As with any campaign, especially a military campaign which is a matter of life and death, what happens in the boardroom before even the first shots are fired is pivotal to the success or otherwise of the campaign. The first step in any campaign is to assemble a winning team. The dream team should expect social media savvy above any other skill, they should be comfortable using theses platforms to communicate and communicate effectively. This means that they should possesses skills in writing and editing wining copy, photo and video editing, and the knowledge of using metric tools and responding to feedback in real time. · Plan The Campaign – Now that you have an enthusiastic team that is armed with the minimum communication skills mentioned above, you need to get into the actual social media marketing campaign planning phase. You must employ a tactical strategy if there is any hope of you getting anywhere fast. The tactical strategy is hinged upon organizing your campaigns short-term objectives and goals for each of the social media platforms that you will be using. Assign tasks to team members who have the innate potential and skills to see the tasks through. Generate and brainstorm on content ideas and on the channels most appropriate for each piece of content. · Choose The Platforms – There are various social media channels and platforms and each is designed for specific content and specific engagements goals. For instance Twitter is a micro-blogging platform is designed for sharing real time information and offering links to the full content sources. Instagram and SnapChat are image sharing platforms, YouTube and Vimeo are video sharing platforms and Facebook comes across as a veritable jack of all trades geared towards connecting family and friends. So you must exercise great care in choosing the channels well suited for your content. An easy way to go about this is to use social interaction reporting tools to see where your audience is and target them where they are already at. · Establish Timelines – Set your goals carefully and realistically and do make sure that you strive to stick to them as much as possible. This will keep the entire team focused on the tasks at hand and help them to direct their efforts and energy to make sure that not only everything runs efficiently but also that the tasks get completed on time. Some elements which you must include in your calendar include; categories, keywords, article types, content formats, promotion and marketing, tracking dates and the optimal times to promote certain types of content. Ideally you should have a worksheet where you manage all these tasks. · Stick To Your Voice - This point belongs to all forms of marketing regardless of whether it is old school or new school marketing and it cannot be over emphasized. The fact of the matter is that when your target audience interacts with your content (audio-visual or textual) they are not only hearing your message but they are also interacting with you in a very rich way. They are hearing the voice of the company and trying to make sense of and assimilate many points of information including tone, language, delivery, intent and much, much more. In effect they are interacting with your company on a highly personal and emotional level. Make sure that this interaction is a true reflection of your company and that the message will make them want to do business with you. The end game of the social marketing or any digital marketing campaign for that matter is to convert people into paying customers, never lose sight of this in your efforts, if you adhere to the above points then you will be well on your way to success. Very basically, a machine learning algorithm is given a “teaching set” of data, then asked to use that data to answer a question. For example, you might provide a computer a teaching set of photographs, some of which say, “this is a cat” and some of which say, “this is not a cat.” Then you could show the computer a series of new photos and it would begin to identify which photos were of cats. Machine learning then continues to add to its teaching set. Every photo that it identifies — correctly or incorrectly — gets added to the teaching set, and the program effectively gets “smarter” and better at completing its task over time. Malware is a huge — and growing — problem. In 2014, Kaspersky Labsaid it had detected 325,000 new malware files every day. But, institutional intelligence company Deep Instinct says that each piece of new malware tends to have almost the same code as previous versions — only between 2 and 10% of the files change from iteration to iteration. Their learning model has no problem with the 2–10% variations, and can predict which files are malware with great accuracy. In other situations, machine learning algorithms can look for patterns in how data in the cloud is accessed, and report anomalies that could predict security breaches. If you’ve flown on an airplane or attended a big public event lately, you almost certainly had to wait in long security screening lines. But machine learning is proving that it can be an asset to help eliminate false alarms and spot things human screeners might miss in security screenings at airports, stadiums, concerts, and other venues. That can speed up the process significantly and ensure safer events. Many people are eager to be able to predict what the stock markets will do on any given day — for obvious reasons. But machine learning algorithms are getting closer all the time. Many prestigious trading firms use proprietary systems to predict and execute trades at high speeds and high volume. Many of these rely on probabilities, but even a trade with a relatively low probability, at a high enough volume or speed, can turn huge profits for the firms. And humans can’t possibly compete with machines when it comes to consuming vast quantities of data or the speed with which they can execute a trade. Machine learning algorithms can process more information and spot more patterns than their human counterparts. One study used computer assisted diagnosis (CAD) when to review the early mammography scans of women who later developed breast cancer, and the computer spotted 52% of the cancers as much as a year before the women were officially diagnosed. Additionally, machine learning can be used to understand risk factors for disease in large populations. The company Medecision developed an algorithm that was able to identify eight variables to predict avoidable hospitalizations in diabetes patients. The more you can understand about your customers, the better you can serve them, and the more you will sell. That’s the foundation behind marketing personalisation. Perhaps you’ve had the experience in which you visit an online store and look at a product but don’t buy it — and then see digital ads across the web for that exact product for days afterward. That kind of marketing personalization is just the tip of the iceberg. Companies can personalize which emails a customer receives, which direct mailings or coupons, which offers they see, which products show up as “recommended” and so on, all designed to lead the consumer more reliably towards a sale. Machine learning is getting better and better at spotting potential cases of fraud across many different fields. PayPal, for example, is using machine learning to fight money laundering. The company has tools that compare millions of transactions and can precisely distinguish between legitimate and fraudulent transactions between buyers and sellers. You’re probably familiar with this use if you use services like Amazon or Netflix. Intelligent machine learning algorithms analyze your activity and compare it to the millions of other users to determine what you might like to buy or binge watch next. These recommendations are getting smarter all the time, recognizing, for example, that you might purchase certain things as gifts (and not want the item yourself) or that there might be different family members who have different TV preferences. Perhaps the most famous use of machine learning, Google and its competitors are constantly improving what the search engine understands. Every time you execute a search on Google, the program watches how you respond to the results. If you click the top result and stay on that web page, we can assume you got the information you were looking for and the search was a success. If, on the other hand, you click to the second page of results, or type in a new search string without clicking any of the results, we can surmise that the search engine didn’t serve up the results you wanted — and the program can learn from that mistake to deliver a better result in the future. NLP is being used in all sorts of exciting applications across disciplines. Machine learning algorithms with natural language can stand in for customer service agents and more quickly route customers to the information they need. It’s being used to translate obscure legalese in contracts into plain language and help attorneys sort through large volumes of information to prepare for a case. IBM recently surveyed top auto executives, and 74% expected that we would see smart cars on the road by 2025. A smart car would not only integrate into the Internet of Things, but also learn about its owner and its environment. It might adjust the internal settings — temperature, audio, seat position, etc. — automatically based on the driver, report and even fix problems itself, drive itself, and offer real time advice about traffic and road conditions.